Russian Travel Guide Blog. 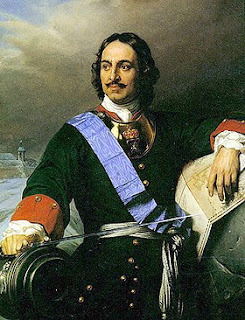 Russia interesting facts, pictures, videos, culture, tourism attractions: Was Peter the Great liked, successful, a good leader? or a tyrant? Interesting about Rissia. 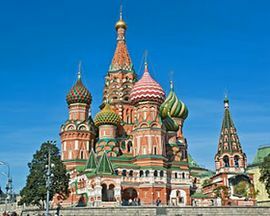 Russia travel guide blog, beautiful photos pictures images of Russia; country, music, military, language and culture; tourism attractions; people; news and articles, Soviet Union, life in Siberia, Kamchatka. Was Peter the Great liked, successful, a good leader? or a tyrant? Peter I the Great – a prominent state and military figure of Russia, a captain and a diplomat, the founder of Russian regular army and fleet. Peter carried out the policy of westernization and expansion that transformed the Tsardom of Russia into the 3-billion acre Russian Empire, a major European power. Peter implemented sweeping reforms aimed at modernizing Russia. In the first place, Russia became a competent participant of foreign affairs and carried out an active foreign policy. In addition, the authority of Russia in the world notably grew. Peter I became an example of prince – reformer for others. One point of view in favour of Peter I is that the basics of national culture were laid. Another additional advantage of his rule is that he created the system of administrative and political division of the country. Peter I the Great used the experience of west-european countries in development of industry, trade, culture. Many institutions of learning opened on the initiative of Peter I. For example, Academy of Sciences. On the other hand, there are also negative effects of his rule. The reforms were through tough resources, by way of extreme exertion of material and human forces, oppression of masses such as capitation tax that attracted for this uprisings. Revolts were kept down by government unsparingly. The main drawback of his rule is that he forced ordinary people to hard works and did not try to improve their lives. In particular, thousands of peasants were tortured in malignant conditions onbuilding of Saint-Petersburg. Violence was the main instrument of carrying out the reforms. Peter’s reforms conserved and prolonged the institutes of serfdom. The central conflict of Peter’s reforms lay in this. In conclusion, it seems to me that Peter I the Great was a man of vision. He had a powerful mind and talent of a statesman. This streaks helped him to succeed. In doing so he used brutish measures. Привет! Hi everyone! Hola! Ciao! Hallo! Merhaba! Bonjour! Zdravo! :) My name is Andrey. I started this blog in 2009. I keep writing articles. Funny Alex Ovechkin Commercial: Is He A Russian Spy? Social advertising in Russia - Garbage has a home! What to do if water everywhere?